Being able to start the application as standalone jar is great, but sometimes it might not be possible to run an app as jar [environment restrictions, company-wide regulations etc] and you have to build a WAR to be deployed into a traditional web/application server. 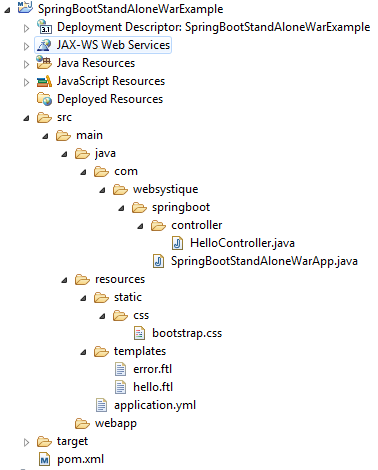 Spring Boot helps us creating WAR using SpringBootServletInitializer. Let’s use the simple hello world application from previous post, generating a deployable war this time. Complete project as usual is available in download section. SpringBootServletInitializer is an abstract class implementing WebApplicationInitializer interface , the main abstraction for servlet 3.0+ environments in order to configure the ServletContext programmatically. It binds Servlet, Filter and ServletContextInitializer beans from the application context to the servlet container. As we will be deploying the WAR to external container, we don’t want the embedded container to be present in war in order to avoid any interference. Just mark the embedded container dependency as ‘provided’. Now you can build [mvn clean package] and deploy the war to your external container. Above pom.xml is good for producing WAR file, but what if we also need to run it locally [in IDE e.g.] during development. We can take advantage of Maven profiles to get best of both, producing JAR or WAR based on the environment. Now, while running locally [on IDE or as a FAT jar], JAR would be used[thanks to default profile]. When you want to prepare WAR for remote serer, use mvn clean install -P remote. It will produce WAR which you can simply deploy in external container. In this post, we are deploying it in tomcat 8.0.21, by putting the resultant war file in webapps folder and starting the tomcat[bin/startUp.bat]. Please note that server port & context-path specified in application.yml [or .properties] is is used only by embedded container. While deploying on an external container, they are not taken into account. That’s why it’s wise to use the same value for context-path as the deployable on server, to be transparent when running the app locally or remotely. Traditional WAR deployment has it’s place and is going to be there for quite some time. Sometimes it is not even possible to run an app as a jar due to policy reasons. 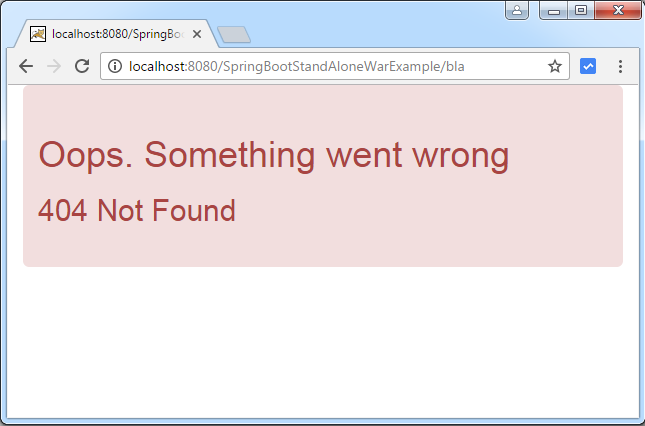 Spring Boot helps on both the fronts, providing necessary support. 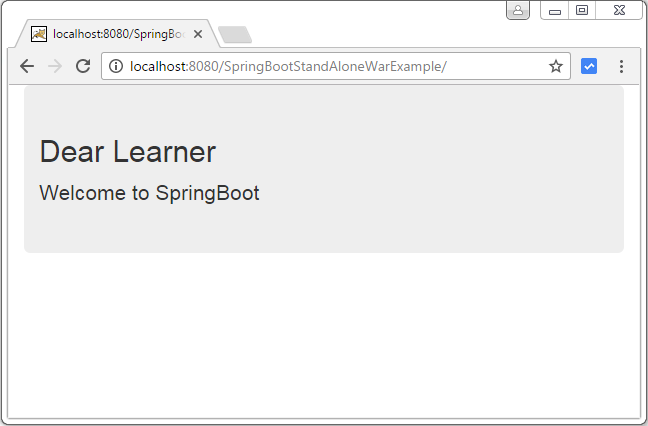 Make sure to check our other posts on Spring Boot, we will be covering lots of concepts here. Feel free to write your thoughts in comment section.